By now, just about everyone is nearly done with Christmas. I hope it was a good day for all. Just an update on Menu for Hope: Pim has extended the deadline to purchase raffle tickets to December 31, 2008. If you haven’t bid yet, I implore you to head over and have a looksee at the awesome prize offerings and perhaps purchase a few tickets. All of the pertinent links are listed on the header of my blog until the 31st. So get on it, kids! And thank you! While we don’t make a big deal of Christmas, I do like to prepare a nice meal on Christmas Day. I try to avoid spending all day in the kitchen, but unfortunately another project had me spending a couple of days in the kitchen, including Christmas (getting pretty cheesed off to boot – but more on that at a later date). I personally cannot stand the feeling of being stuffed, so I relish the thought of preparing a delicious treat of a meal that leaves me feeling satisfied, but able to run in an hour. We had soup for Christmas, but not just any soup – we had bouillabaisse. When I was a kid, my dad was on a fine dining kick for several years. Once a month, he would select a nice restaurant in the area and have me make a reservation for the family. His exact words, “You and your sister need a little culture.” You should hear my secretarial voice – even at age 9, I sounded awesome. My dad is crazy about seafood and so you can imagine his joy when he ordered his first bowl of bouillabaisse. Of course, Dad being Dad, he had to try and recreate it in his own kitchen and over the years, he has more or less perfected the recipe. Call it a Chinese immigrant’s interpretation of a Southern fine restaurant’s interpretation of a French classic. Something like that. While versions vary widely, I quite love my dad’s recipe because it contains a bounty of good seafood and not just fish. The first thing I started with was fish stock. I had a frozen fish head in my freezer that my parents had left from their last visit. This may sound odd, but just about every time my parents visit me, they leave a frozen fish head in my freezer. It’s a sign of love :) I made a most basic fish stock a couple of days ago with the head which weighed about two pounds (it was a decent-sized striped bass). 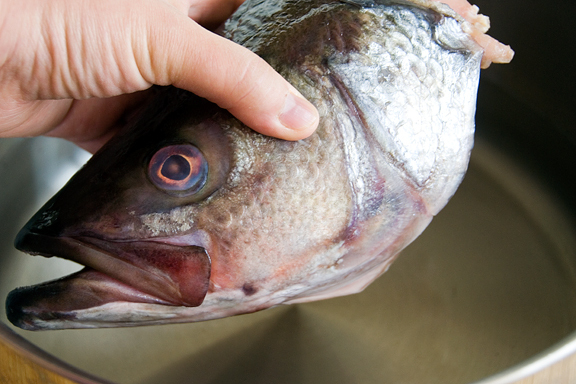 If you opt to make your own fish stock, be sure to have the exhaust fan on because it smells very… fishy. My dad’s recipe is quite flexible, because you can’t always get your hands on fish stock. He actually suggests a combination of fish stock or clam juice, with some chicken broth. The chicken broth gives the soup a smoother flavor and more body. The other critical ingredient in the soup is a bottle of wine. This morning, I made the “soup” part ahead of time because my dad observed that the soup tastes better if the broth is given time to mature and develop its flavors. I sautéed minced onion and garlic in butter, then added saffron and sautéed another minute or so. Next I stirred in a quart of fish stock, 2-3 cups of chicken broth, and the whole bottle of Sauvignon Blanc. I placed the herbs (except the saffron) into a little spice bag and tossed that into the soup, heated everything to a boil, then covered the pot and turned off the heat. I spent the next several hours wrestling with a dessert. About an hour before dinner, I began to prep the seafood for the bouillabaisse. 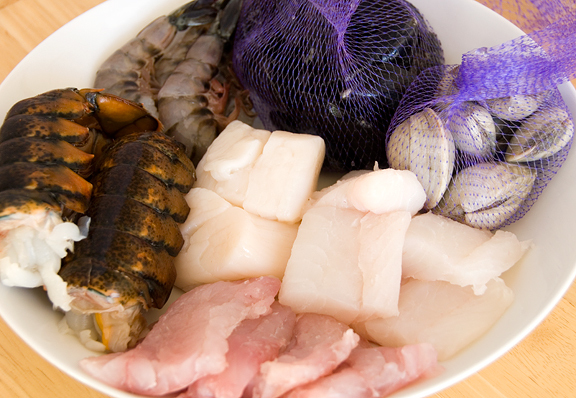 I had bought mussels, clams, scallops, shrimp, lobster tails, and two kinds of fish: cod and red snapper. My guys at Whole Foods didn’t have any snapper filets, so I bought a whole snapper (about a pound, which is a perfect size with delightfully sweet meat) and asked to have it filleted. I also requested the bones, head, and tail… to make more fish stock in the future. 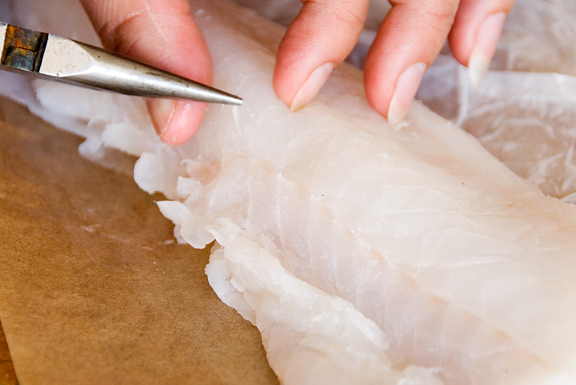 Whatever fish I get, I always prefer to remove the skin and any bones. It’s easiest to get those bones out with a pair of clean needle-nose pliers. Your mise en place is important because timing is everything and you can ruin perfectly good seafood if you overcook it. The mussels and clams should cook first in a separate pot of boiling water because they can contain sand or grit which you don’t want in your soup. While the bivalves are cooking, heat the soup in a large pot. You can either leave the onions in the soup, or strain them out of the soup (I leave them in). I sliced open the shells of the shrimp and deveined them, but left the shells on because it lends flavor to the broth. 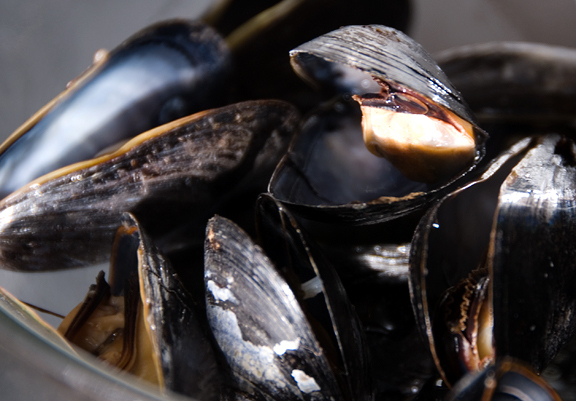 Remove the clams and mussels from the boiling water as soon as their shells pop open, draining off any excess liquid. When the pot of soup comes to a boil, it is time to add the lobster tails and the shrimp. The soup will taste somewhat acidic, but when you cook the various sea critters in the soup, they make the broth a little more alkaline which neutralizes the acidity and lends some more flavor to the liquid. The shrimp cooked for about 2 minutes until pink and then I removed them from the pot. I bought two small Canadian lobster tails, about a quarter pound each, and cooked them until they were red (about 3 minutes). If you get a larger whole lobster, my dad suggests cooking the whole thing in the soup until it turns red. Then remove the lobster and chop off the head. Cut the rest of the lobster into quarters, leaving the meat in the shell. 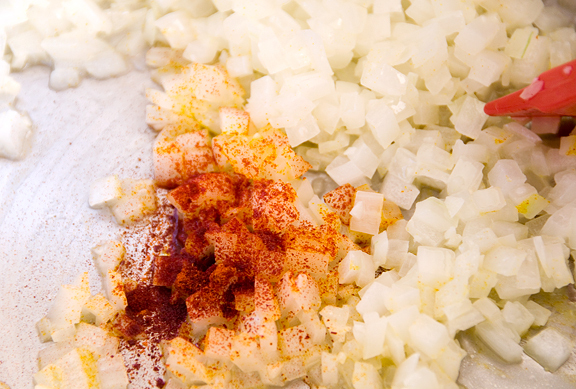 The seafood will continue to cook, so you want to take them out of the soup when they are just underdone. It is a good idea to cook the fish in a sieve or basket because 1) they cook very quickly and 2) they fall apart easily once they are cooked. After the shellfish are done, place the fish pieces in a sieve or basket and plunge them into the boiling soup. It will take a few minutes for them too cook. Remove when they are just underdone. Do the same for the scallops (a few minutes at most). 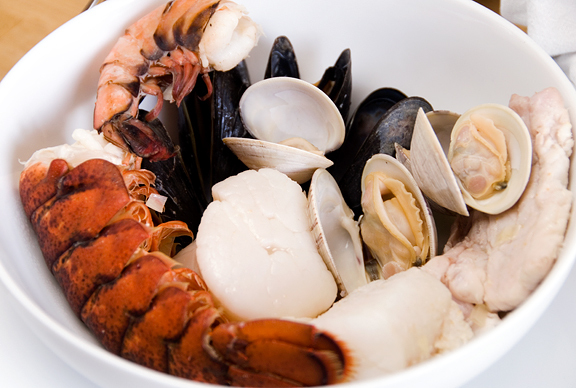 When all of the seafood is ready, distribute them in each bowl. If you know the number of people you are serving, you should have bought enough so that each person gets a little bit of everything. Pour the soup into each bowl. For anyone who loves seafood, this is a great meal. Serve with slices of warm, crusty baguette and a good bottle of wine (like our Spanish wine from the night before) and you won’t be wanting for anything else. Sauté onions and garlic in butter until translucent. Add saffron and stir until uniformly golden. Pour in wine, fish stock, and chicken broth. 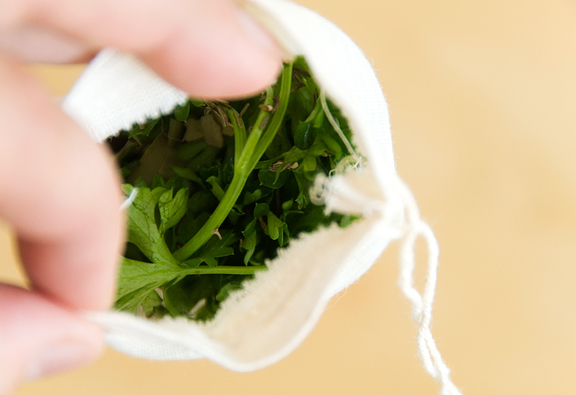 Place bay leaves, thyme, and parsley in a small cheesecloth sack and tie closed. Add this bouquet garni to the pot of soup. Bring soup to a boil. Add tomatoes (optional). [Optional step: let soup cool and refrigerate for a day.] Strain the onions, garlic, and bouquet garni out of the soup right before using (optional). Bring a pot of water to a boil and add the mussels and clams. When the bivalves open their shells, remove from boiling water immediately. Drain off any excess liquid. 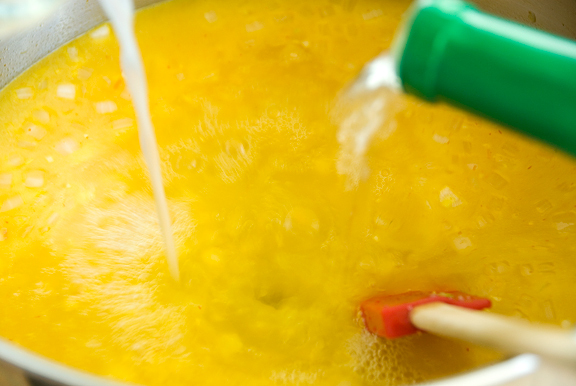 Bring the soup to a boil in a large pot. Place shrimp and lobster in boiling soup. When shrimp is pink and just underdone, remove from soup (about 2 minutes). 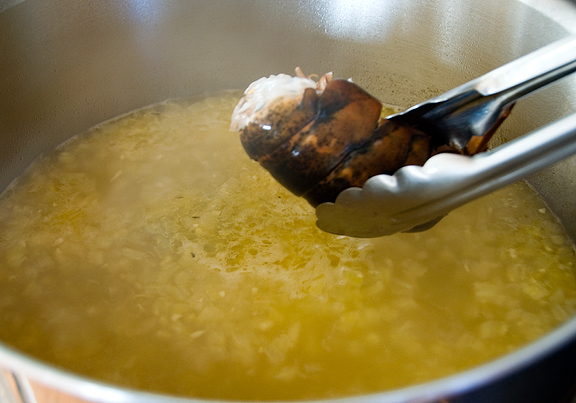 When lobster turns red and meat is just underdone, remove from soup (about 3-4 minutes, depending on size). 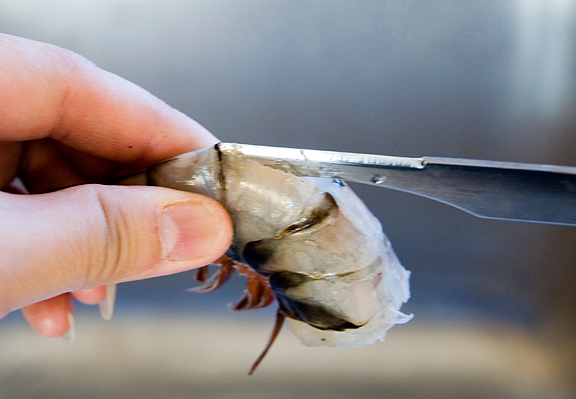 If whole lobster, remove the head and cut the tail into quarters. Leave in shell. 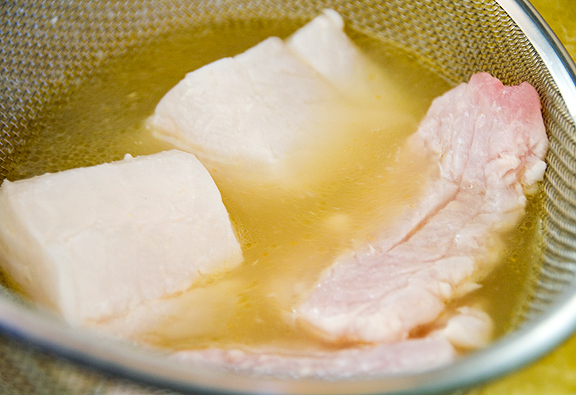 Place fish in a sieve or basket and immerse in the boiling soup until just cooked. Remove from soup. Repeat the same cooking process with the scallops. 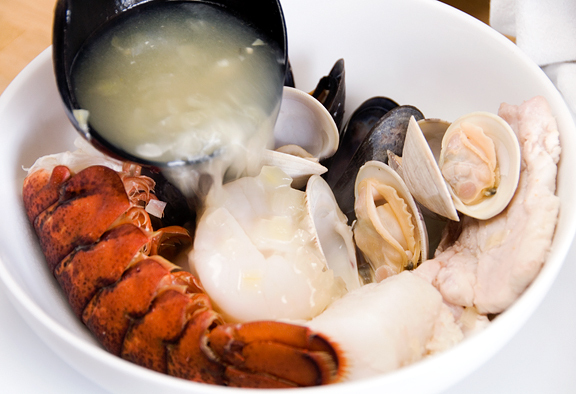 When all seafood is cooked, add salt to taste to the soup. Distribute the seafood among the serving bowls. Ladle hot soup over each bowl. Serve with good french bread and wine. Theoretically serves 8. What a delightful soup! That kind is real soul-uplifting! Damn. I thought I was stuffed from Christmas dinner. But apparently not, because I’m wanting a bowl of this in the worst way. Yeah, ditto Kitt’s comment… I made something seafood-based (you’ll see pretty soon) but I was missing maybe everything you have here! 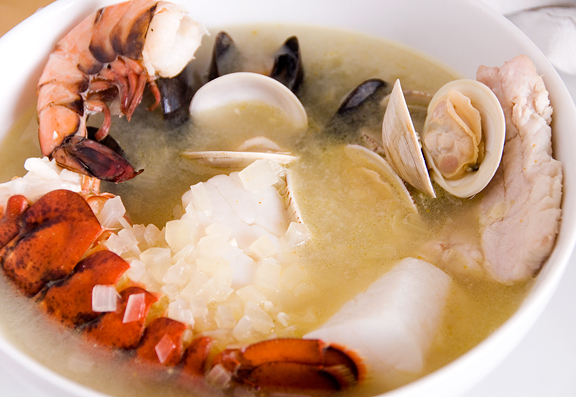 I love seafood and this soup looks puuuuhfect! Your dad is an awesome cook, and I never realized also for non-Chinese dishes! I love that leaving animal heads is a sign of love, hee hee (obvs referencing The Godfather in a way)! I am curious, though: who takes the pictures when you are using both your hands to cook? Is it Jeremy or are you so magical that you can somehow set up a tripod for these shots? That looks really excellent, and it’s such a logical recipe. I also like that it’s not red. I never really understood why I see bouillabaisse that looks like cioppino everywhere. Since tomato is super-acidic, this looks better to me. Ohhhhh the cravings! I haven’t had good bouillabaisse in ages… my mom used to make it at the holidays sometimes too. Ours always had tomato tho… this looks amazing. We need seafood! Good thing I have a job now and can go buy some. :) Looks incredible and sounds like a perfect meal. Fish heads are love! Now that’s some SERIOUS soup! I will try this, and omit the looooobster! This looks like a wonderful meal! MMMMMM, if only I could get Mr Chiot’s to eat seafood, or if I could find some good fish here in the hills of Ohio. 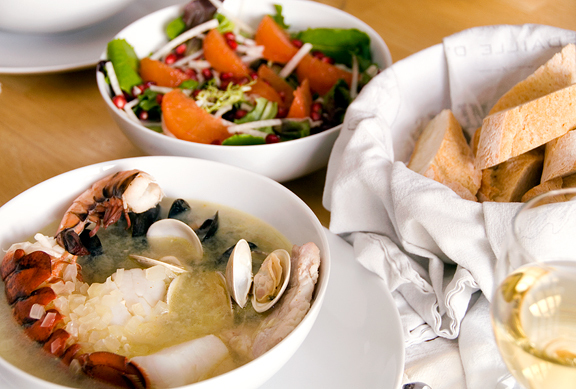 Love your dad’s version of bouillabaisse! Always love to see that much seafood on one plate! Great meal for a cozy Christmas dinner! I’m so impressed and intimidated. Aren’t you exhausted by now? Please send me some of your energy. Wow, that is quite the feast! That is a really rich bb! I’m salivating. Never had the Barefoot SB. I’ve had their Zin before, wasn’t impressed. I should check them out, as we’re out of stock of SB in our wine cabinet. I love bouillabaisse and this recipe looks terrific. What a great idea for Christmas dinner. Your photos are GORGEOUS. Wow. That’s quite a project. 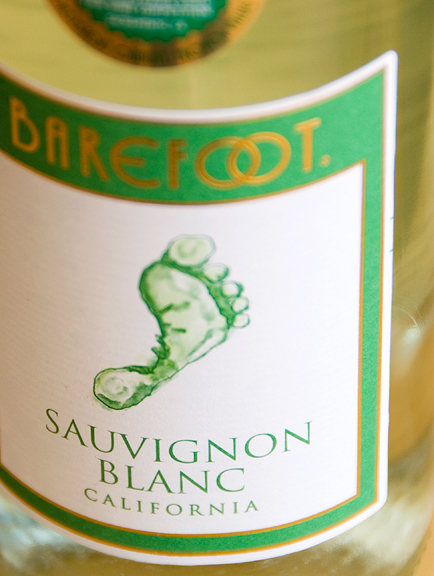 I actually just finished a glass of the Barefoot Sauvignon blanc. I bought it to make fondue with, but ended up not using it. My mother-in-law just had three glasses and is acting a little goofy. Fantastic! What a beautiful soup. Only just checked this as we have been travelling round family but it sounds a fantastic Christmas lunch.. we had a roast dinner but it was lamb which is our favourite. Rosa – it’s also a little tipsy making :) Thanks! Kitt – mmm, it is one of my favorite holiday meals! 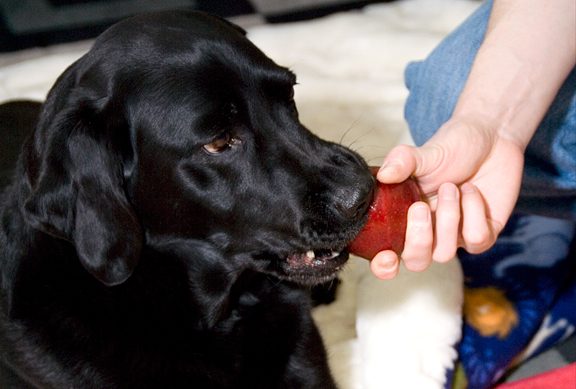 Mollie – mmm, I’m thinking off all the great seafood you’ll get your hot little hands on out in Boston. *jealous* Fish heads are love, but only if you can freeze them! Susy – yeah, you definitely want to find a reputable fish monger for the ingredients. But honestly, once the whole thing is made, it’s the broth that rocks! Julius – thanks! Good to hear from you! Hope things are going well. Nate – their SB is quite nice for the soup. I generally like New Zealand SBs. Not that I have a lot of experience. And that Spanish wine we had with our crab – that is really lovely too. Mrs E – oh sweetie, get well soon. I’m sorry you’re sick. Drink lots of broth! That is quite the feast indeed. We had seafood as well. Go nontraditional. Peabody – I’m with ya on that one, hon! i made your dad’s bouillabaisse tonight with a tai red snapper cleaned (but left whole) lots of shriimp, a few mussels and some king crab. i also added french olives, orange zest, half a sliced fennel bulb and some crushed fennel seed in the pot pouri. we had a french loaf which i heated and rubbed fresh garlic on.. wish i had made and set the broth overnight.. and had some pernot on hand.. i also wonder how a spicy rouille would have played into the flavors… maybe that is over the top. but aside from that, my family were impressed and we enjoyed the feast immensley. thank you and happy new yesr!! Love reading your recipes but I can never save them as it will not allow copying and paste. Would it be possible that in your Subject area that you type the name of recipe? You are such a talented lady and many of your recipes I know would be a great experience for anyone but unfortunately not being able to co copy and paste for future reference, it makes impossible to enjoy your talent. I am a person in my 70´s and my knowledge of computers is very limited and that is my excuse for bothering you. Many Thanks and keep on sharing such great dishes….and please, don´t forget some of us are the visual type of folks, we need to see pictures….LOL!!! 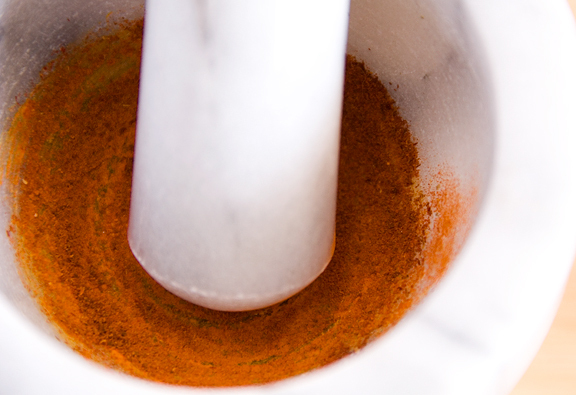 Jorge – There is a link at the top of the actual recipe just under the title that says [print recipe]. If you click on that, you can download a PDF of the recipe. You can always reference photos on the blog. All the best!